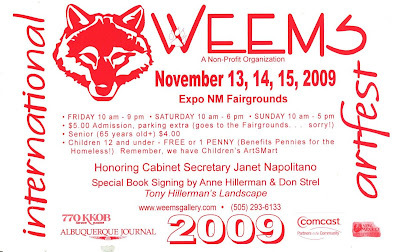 Here is a postcard from Weems about the upcoming show. I just thought you might like to see it. I am off to run a couple of errands and then it's in the studio for me. All day. Have a wonderful Saturday!